It looks like the Spurs have found their third big man. The Spurs are close to signing big man Donatas Motiejunas, according to ESPN’s Adrian Wojnarowski. 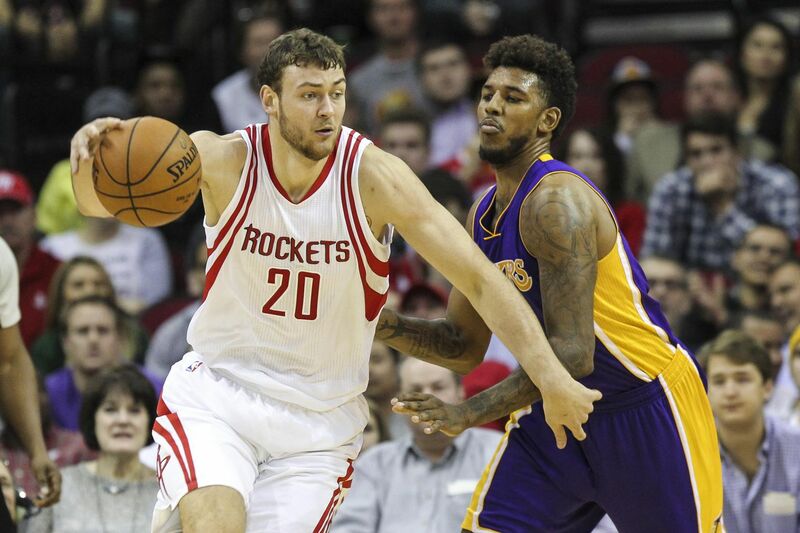 The Spurs are nearing a deal with veteran NBA F/C Donatas Motiejunas, league sources tell ESPN. He’s been playing in China for the past two seasons. The 7-foot forward/center was drafted by the Minnesota Timberwolves out of Lithuania in 2011. He played for the Houston Rockets from 2012-2017, where he averaged 7.4 points and 3 rebounds on 52.9% shooting before being traded to the New Orleans Pelicans, where he played sparingly before spending the last two seasons in China. This signing would shore up the big man position for the Spurs, who waived Pau Gasol at the beginning of the month, leaving the roster without a third big to back up LaMarcus Aldridge or Jakob Poeltl should either suffer an injury or foul trouble.